In 2017 NPO was reborn as Pakistan Japan Jasmine Association. We will expand the circle of communication stronger, wider and better! 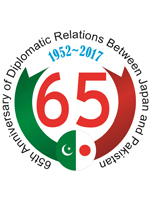 first friendship event 65years Anniversary Diplomatic Years between Japan& Pakistan "the Fusion" Pearl Continental Lahore on 8th September(Fri). It is the country of the same Asian country, Pakistan which was connected with Japan through the Silk Road where Gandhara was established in the 6th century BC. If there is no opportunity to know, it will judge by news, images of only the flowing media. 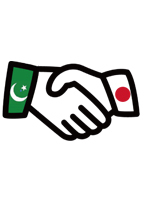 In 2015 we established the Jasmine Pakistan Japan Women's Association with Japanese volunteers and Pakistani volunteers to deepen human and cultural exchanges regardless of politics and religion. If we do not know, we have no words to talk about this friendly country. I felt the necessity of building a network to create a place to seriously consider together how to make a better society, to trust and live, or to become a force for a troubled person. Of the population of 180 million people under the age of 30 is over 60% of the population. Some schools and hospitals are not enough facilities & belongings in Pakistan, so we started supporting. In order to fulfill social responsibilities abroad and domestic and to carry out effective international cooperation activities that we should act, it is indispensable that the activities of our organization are not for commercial purposes, and that many people will participate by themselves . To that end, we thought that it would be desirable to become a socially recognized organization, then Jasmine was reborn as NPO Pakistan Japan Jasmine Association. 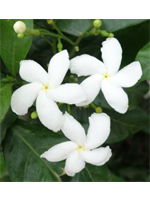 Jasmine is the national flower of Pakistan. Adorablely fragrant and tiny flowers gather a lot of flowers of that little jasmine to make it more presence and aroma. NPO Jasmine will also concentrate small power, cherish communication with a broad perspective, enhance new activities, contribute to the happiness of both countries Pakistan & Japan, and will work to make a better society.